Nollywood news + Naija Gist | Yoruba movies, Naijagist, Nigerian music, Naija news, Nigerian movies: Please pray for me. 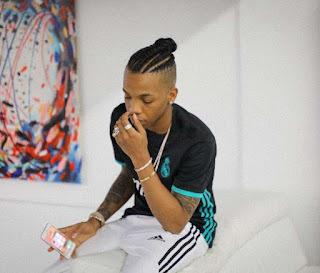 - Singer Tekno cries out as he open up on illness. Musician, Tekno took to his social media earlier today to ask his fans to pray for him and he needs to recover from an undisclosed illness. He wrote; "I've been away and on treatment. Pls, don't be upset, that I can't make it to shows I've been booked for. I'm taking time out fully recover and hopefully get back to doing what I love most soonest. I apologize, and If u can pls pray for me.. God watch over us all! Thank you,"